Travel Insurance for your Crested Butte vacation. 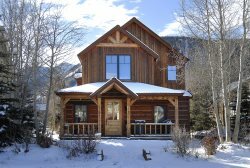 We strongly urge you to consider this insurance when planning your Crested Butte vacation. NO REFUNDS WILL BE MADE FOR ROAD CLOSURES, SNOW CONDITIONS OR LACK OF SNOW WITHOUT TRIP CANCELLATION INSURANCE. We help keep vacation dreams alive. You’ve been planning this vacation for months, maybe even years, and just before you leave, your child spikes a fever. Or maybe your company decided to transfer you to the new West Coast office. Or more likely, you’ve been keeping an eye on a threatening storm, or a disappointing snowfall in the Rockies, and it’s starting to look like your plans will be affected. Click on the links below to download a copy of the policy detail in PDF format.